For gentlemen, attempting to dress down can be a minefield. So we’ve compiled this guide to help you achieve that casual look without throwing your style sensibilities out of the window. We’ve all heard of power dressing, a fad popularised by entrepreneurs who felt that, due to their business acumen, there was little need for them to dress stylishly. One of my favourite examples is Mark Zuckerberg. Facebook’s billionaire founder could afford any stylist and fill his wardrobe with all manner of items and yet he elects to wear the same grey t-shirt every day. In fairness to Zuckerberg, we can’t question his hygiene – he has multiple versions of the t-shirt, so we imagine it’s not exactly the same t-shirt that he sports every day. The rest of us don’t quite have the same excuse as Zuckerberg. Nor would anyone reading this article perceive fashion to be a frivolous affair, it affects people’s perception of you in every scenario of your life. Indeed, whether you are heading to the office, an event or any social occasion it’s nice to look the part even if you are intending on dressing down. And, trust us, there’s a good way and a bad way for gentlemen to dress down. So we’ve listed a few stock wardrobe items and what to consider and avoid to give yourself a head-start in the ‘dress down’ stakes. Shirts can be casual too and whilst they are certainly on the formal side of the dressed down scale a nice shirt can keep you looking smart and comfortable. For instance, a plain Oxford shirt is always a good addition to any gentlemen’s wardrobe and can be paired with shorts, jeans or chinos and a nice pair of boat shoes to complete a nice casual look. If you’re tired of going plain with your shirts and prefer to add a bit of individuality into your dress down attire then it’s fine to opt for a checked, floral or flannel shirt to give yourself a ‘cool’ edge; just make sure it fits nicely. Of course, there’s also the question of short-sleeved shirts, which can keep you looking smart yet dressed down during the summer months. Just apply the rules above and remember – don’t throw too many patterns into one outfit. We covered t-shirts in our last blog and we’ll reiterate the points made there. Namely, keep the branding to a minimum. Likewise, be aware of the fit. You need to find a happy medium between tight and loose, go too far either way and you are asking for trouble. Then there’s the question of deep V necks. Unless you are in a ’90s boy band these are best avoided. This is important, even if you have the body of an Adonis, people don’t want to be too aware of what’s underneath your garments. That means ditching deep V-necks, not undoing too many buttons on your Oxford shirt and making sure your trousers fit well without being too tight. So elect for t-shirts with minimal branding that fit nicely without exposing too much chest. Sometimes, the best look is the simplest. Always get a second opinion, especially if you are venturing into patterned t-shirts. We’ll reiterate, trousers should not be ultra-skinny nor should they be baggy. When dressing down elect for a more comfortable slim or tailored fit, that keeps you looking suave whilst also appears more casual. Chinos and jeans can both work well, focus on fit and quality above all else and you will be fine. Opt for a button up shirt rather than cufflinks and switch your timepiece for a more refined watch – preferably with an uncluttered dial. 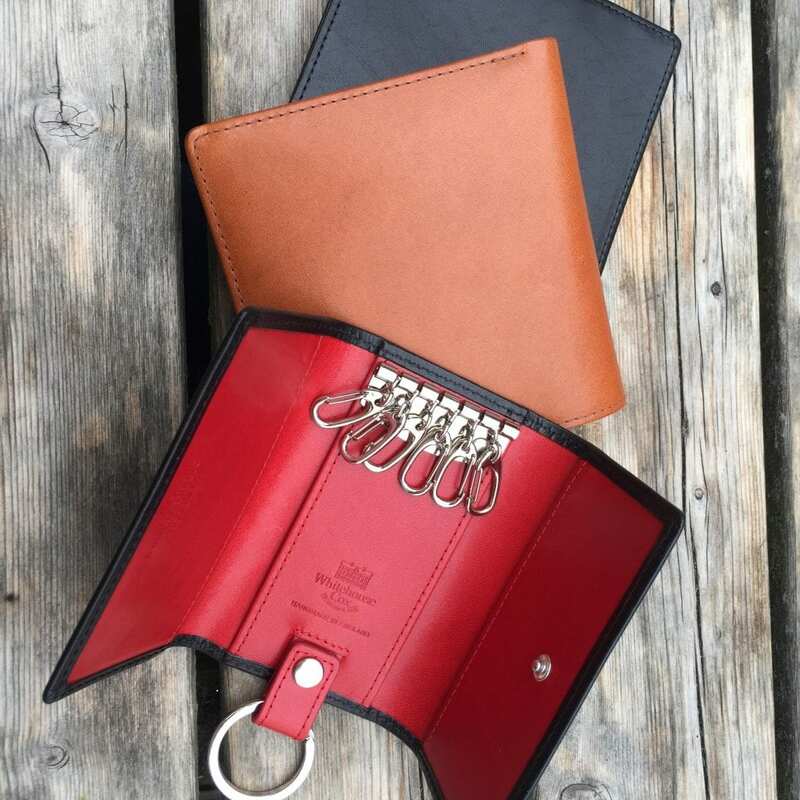 Your Whitehouse Cox wallet can remain in situ, thanks to the subtle branding and classic design sensibilities it boasts. This means it will suit the most formal of occasions and the dress down times too. The only thing you may want to change is the colour of your wallet or key holder depending on what you are wearing! Loafers, boat shoes, suede desert boots and brogues can all be worn with various dress down looks, it really depends on how formal you want to appear. You can add a nice touch of personality to the shoe department, so don’t be afraid to experiment. Don’t forget that socks can be a nice way to add a pop of colour to a block palette outfit and show off your style in a subtle yet endearing way. Dressing down might require a different wardrobe but your Whitehouse Cox accessories will look good whether you are attending a truly formal event or just socialising in your slacks. One thing is certain, don’t be afraid to add subtle hints of personality to your outfit. Dressing down doesn’t mean dressing boring. Instead, see it as an opportunity to add subtle touches of your personality to demonstrate your sense of style. That could mean a wacky pair of socks, subtle prints on your shirt, a striking pair of shoes or a pleated belt, to help add interest and texture to your outfit. Such simple touches showcase that you have a strong sense of style and care about your look even when you’re in more comfortable clothes. Want a wallet to match the look? Take a look at our gentlemen’s saddle leather range today.